SCANPAN has a long history in South Africa and over time has built a respectable market presence. The SCANPAN brand has a solid reputation for high quality cookware and is stocked by many of South Africa's finest retailers. This SCANPAN South Africa webshop sells to customers nationwide. SCANPAN's online orders are fulfilled by our local distribution partner from the warehouse in Cape Town. SCANPAN has deep roots in traditional craftsmanship. 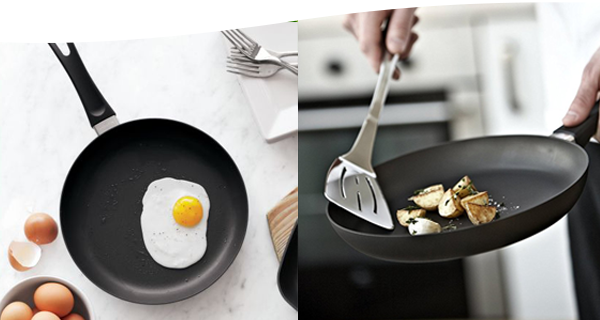 SCANPAN creates functional and timeless cooking tools for the modern household and professional kitchen. The SCANPAN brand is constantly evolving - we can proudly say that we are at the forefront of innovation and cooking technology. SCANPAN was founded in 1956 in Denmark, a country famous for it's design and quality manufacturing. Since then, our hand-cast aluminium products, which contain our patented Ceramic Titanium coating, have formed the core of our offering. SCANPAN still casts all of our non-stick aluminium products at our own factory, located in Denmark. SCANPAN makes uncompromising kitchenware the modern kitchen. In addition to our popular non-stick products, SCANPAN’s ranges also include refined a design series and professional series in copper and stainless steel, special products and accessories for your daily cooking. To ensure great design, quality and user-friendliness, SCANPAN continuously develops concepts with partners and professional chefs alike. SCANPAN strives to make a difference – both in the kitchen and for the environment. Our philosophy is that good food deserves quality tools, made with the same commitment, care and respect that you would use when handling and making food. All of SCANPAN's die-cast aluminium products are made from environmentally friendly recycled aluminium at our factory, where we have developed and control all stages of the manufacturing process. Liquid aluminium is hand poured into a mould and die-cast using 250 tons of pressure. Following this, titanium is bonded at 30,000 degrees to this compressed aluminium and a non-stick coating is applied, then tempered. Our unique casting process ensures maximum durability and near perfect heat distribution across the entire surface. Quality control is extremely important and is closely monitored throughout the production process. Part of SCANPAN's on-going product and technology innovation, was the development of a 100% PFOA and PFOS toxin free coating. This, combined with the patented Ceramic Titanium technology makes ours one of the worlds most resilient non-stick cookware coatings.